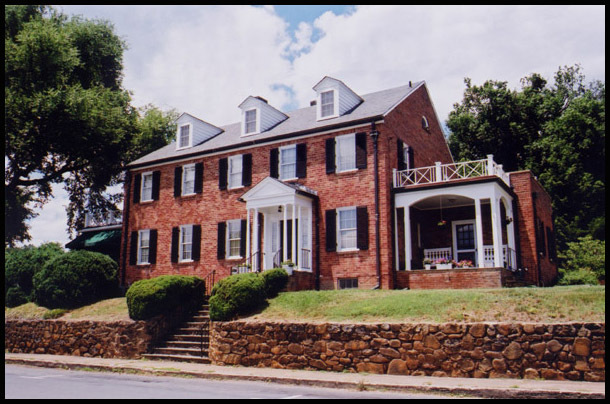 Comments: The Harris House on West Main Street was built in 1934 and served as the home and office of Dr. Percy Harris, a physician, farmer, and former Mayor of Scottsville (1943-1953). The red bricks for this house came from the Brady School (later known as the Old Dispensary) that once sat on the south corner of Main and Valley Streets and was built in the 1800s. 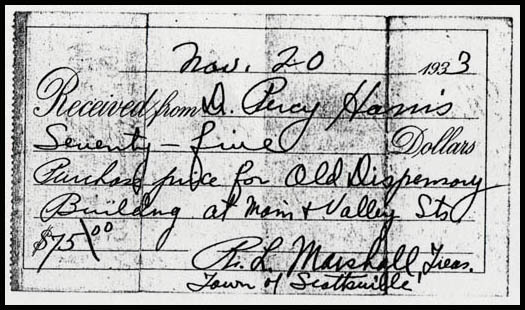 Shown below is the receipt documenting Dr. Harris's purchase of these bricks for $75 in November 1933. Today the elegant Harris House on Lot 166 overlooks the Scottsville Post Office. The image above is part of the Ranny Moulton collection. Ranny resides in Macon, Georgia, and is the grandson of Dr. Percy and Innes (Randolph) Harris.